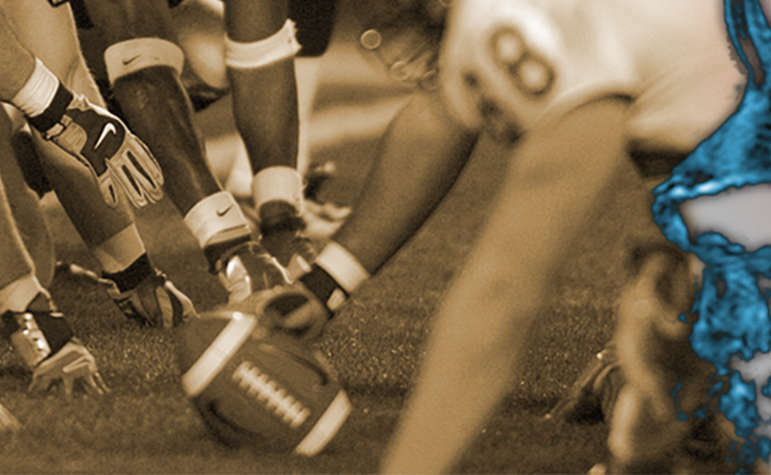 Before the National Collegiate Athletic Association (NCAA) was created, many kids were becoming seriously injured while playing football for different schools. According to a 1905 article in the Washington Post, 45 young men died from game inflicted injuries in a five year span. Another tragedy occurred when a Union College halfback named Harold Moore was kicked in the head and suffered a fatal brain hemorrhage. Columbia, Duke, and Northwestern all suspended their football teams and Harvard threatened to do the same after all these injuries. Theodore Roosevelt, whose son was injured playing for Harvard, called for leaders to go to the White House where he helped to create new rules to make the sport safer. The 62 school Intercollegiate Conference of the United States was then created, later becoming the NCAA in 1910. Fatalities declined and college football became very popular. Publicly the NCAA considers itself to be a guardian and states that they were “founded to keep college athletes safe.” This is problematic because they have disregarded warnings about health and safety for a very long time. Three years after the Roosevelt meeting, a study of Harvard football players found that concussions are commonplace and injuries can be avoided by not playing injured men until they fully recover. In 1968 the NCAA’s Committee on Competitive and Medical Aspects of Sports stated that players who were even momentarily unconscious should not be allowed to return until being symptom free. This was not turned into NCAA policy and instead it allowed schools to regulate themselves, allowing them to do whatever they wanted. With colleges regulating themselves, set guidelines do not have to be followed. In a 2010 survey of campus athletic directors, less than half did not require athletes to see a physician, around 40 percent of schools did not have a length of time required to sit out, and 50 percent of the schools let players return to a game after being concussed. Later, the NCAA created concussion management plans to help guide schools when someone gets a concussion. These plans include: removing an athlete with a suspected concussion from play, preventing a player from returning on the same day, and not returning to play until being cleared by a doctor. The problem with these guidelines is they are not rules and cannot be investigated or enforced. One of Goldberg, Perky & White, P.C.’s attorneys, Jason Luckasevic, filed a lawsuit against the NCAA alleging that it has concealed knowledge of the effects of brain injuries received while playing football. A settlement has been reached for athletes that played NCAA sports at an NCAA member school prior to July 15, 2016.